Google Wave is an online tool for real-time communication and collaboration which was first unveiled at Google I/O conference in May. Wave is basically Google’s attempt at how email would look if it were invented today. Starting from today, Google will officially roll out Wave (Preview) to the first 100,000 users who have signed up for the service through Wave site (http://wave.google.com), to developers who are already enrolled in developer preview program of Wave, and selected paying customers of Google Apps. 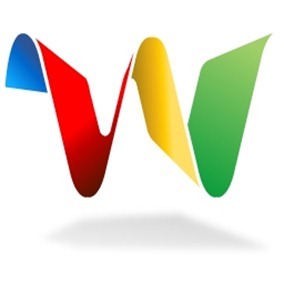 If you are reading this now then chances are that you didn’t signup for Google Wave in time and so may not get an invite from Google today. But don’t give up just yet as there are some alternate ways to get on Wave! Those of you who have signed up for the service and are lucky enough to get an invite will be able to invite your friends to join them on Wave. You can use twitter here effectively to find out people who have already got an invite. If you have large number of followers then chances are that sooner or later one of your follower will send you an invite to try out Wave. Alternatively, you can also follow the #GoogleWave and #GoogleWaveInvite hashtags on twitter to keep yourself updated with possible free invites. If I get a Google Wave invite, I’ll immediately send an update (tweet) to my twitter followers about it and invite as many as possible on the first-come first-served basis. Make sure you are following me on either twitter or facebook in order to have the best chance of getting an invite from me. I´m willing to have an invitation too, please let me know. could you please help me with a wave invite? Follow @wavede for upcoming invite lottery. can you please send me an invite to. Another invite to me@nachie.com would also be really appreciated! !… I can't wait till I get one 🙂 Thanks to anyone and everyone who fires one at me.. Thanks for the information brother, now i am following you on twitter.! thank god i got my invite ! MAY I ASK FOR AN INVITE? Could you please send me an invitation? I am following you on twitter now…..
Would to test Wave and see the possibilities. Plz Send me an invite.